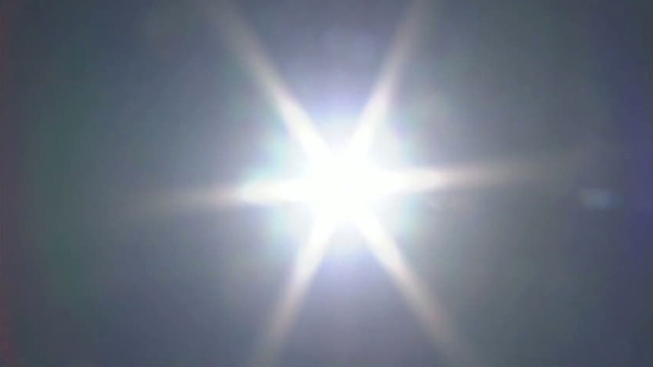 MedStar EMS is bracing for more heat-related emergencies as highs this week rise back into the triple digits. NBC 5 Chief Meteorologist David Finfrock is calling for a high of 100 degrees on Thursday, with the extreme heat lasting through the weekend. "Any time the heat gets up anywhere near 100 or even to 90, you need to be aware of the heat and not become a statistic," said Marshall Sharp, MedStar's operations supervisor. MedStar has already received 117 heat-related 911 calls in June and July, seven more than in the same period last year, when temperatures routinely topped 100. "It is concerning to us," Sharp said. The death of a nursing home resident that disappeared from Parkview Care Center in Fort Worth could be a heat-related death. Her body was found many hours later late Wednesday in a nearby park. "Regardless of your age, it's not good for you to be outside in the heat all day," Sharp said. In the heat of summer, well-trained firefighters make sure to rest often and begin hydrating long before going outside. That was evident at a west Fort Worth house fire early Thursday. A home in the 2900 block of Santa Fe Trail caught fire around 3:30 a.m. And though firefighters were able to quickly control the blaze, multiple trucks and crews were sent to the scene to provide backup to the men and women fighting the flames. "It's like running around the street with a wet blanket over you," said Captain Joe Short of the Fort Worth Fire Department, as he described the effect of heat on the gear firefighters wear. "We're wearing the equivalent of pot holders on our body with about 75 pounds of gear," Short said. "And they're in good physical shape, so they're taking extra precautions to not become a heat casualty," Sharp said. "That should tell every other person -- your average person -- that they should go to a higher degree, make sure they're hydrated [and] not stay out in the heat very long."